The Marc Boutin Architectural Collaborative Inc. 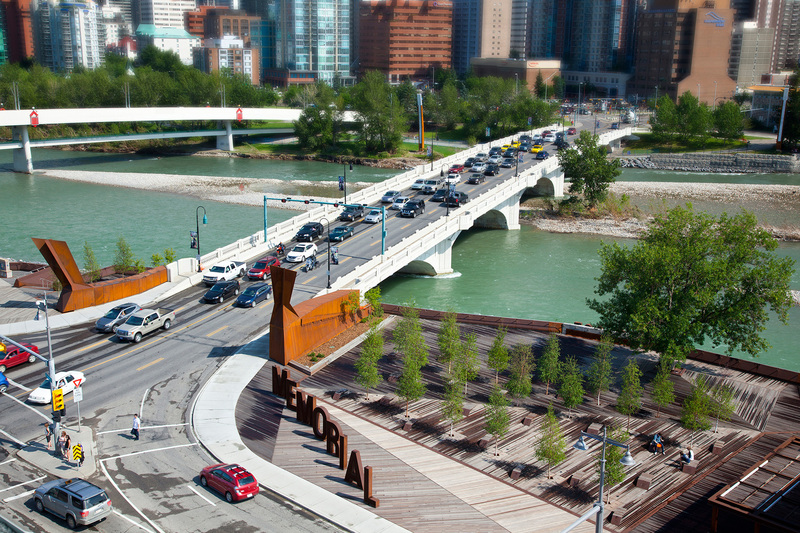 The vision for revitalization of a 9.5 kilometre pathway corridor parallel to Calgary’s Memorial Drive was ignited by the loss of the original cottonwood trees planted in remembrance of Canada’s sacrifices in the First World War. 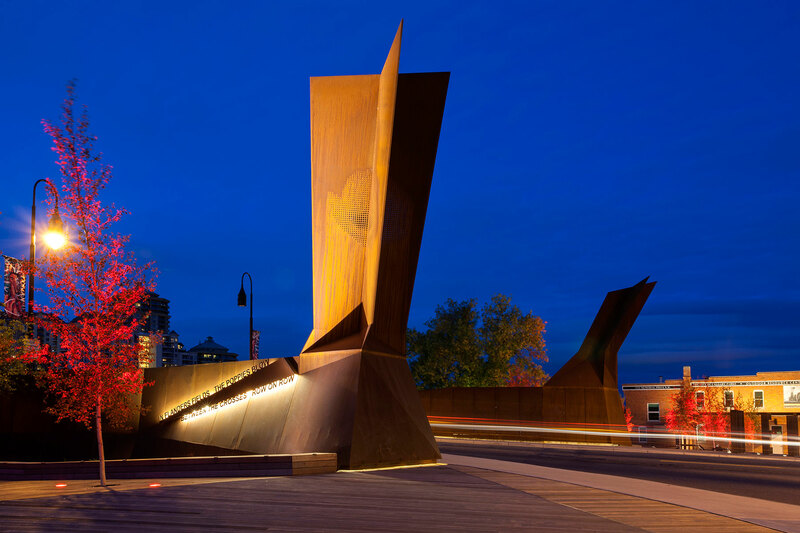 Poppy Plaza is the first of a series of planned nodes along a ‘Landscape of Memory’ renewal project. 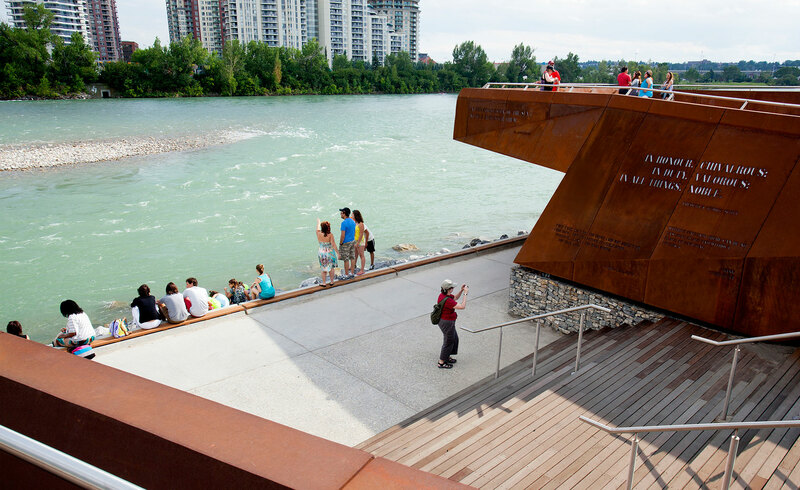 The project was developed to address various challenges, including connection of disparate access points into the site, access to the river’s edge, resolution of the conflict between pedestrians and commuter cyclists along the river pathway and creation of a space to accommodate large events and informal gatherings. 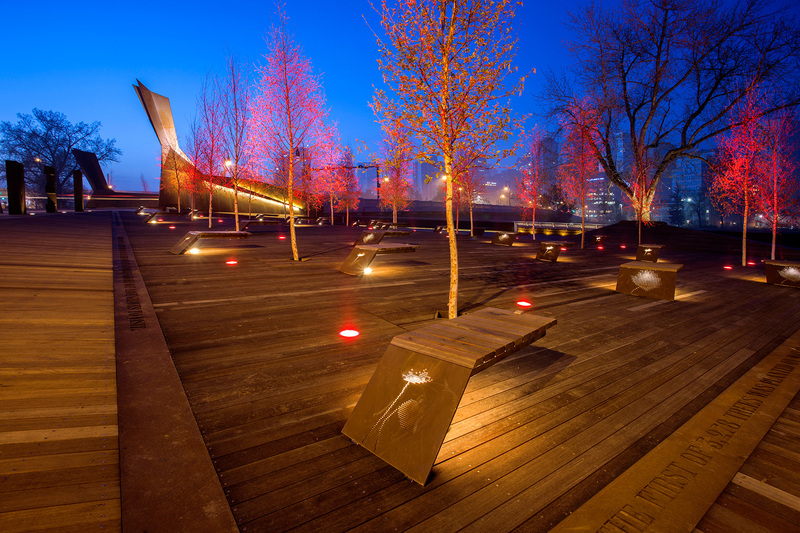 “An evocative project that inserts itself within a broader renewal of a historic landscape project dating back to the end of World War One. 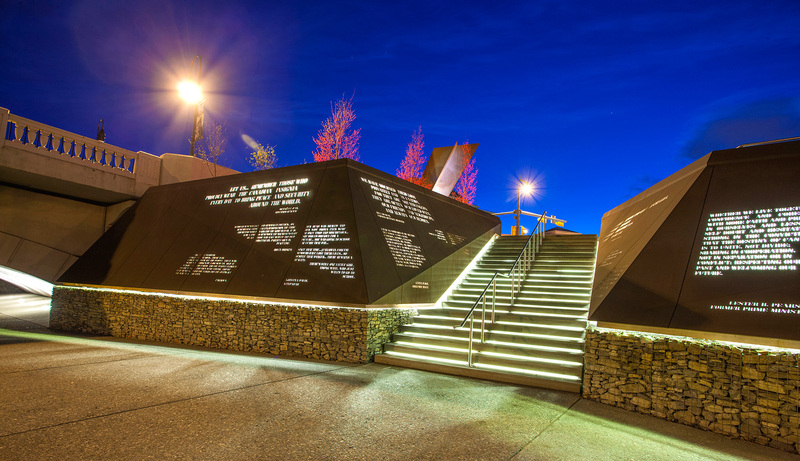 The design successfully fulfills its memorial mandate while offering public urban space that is skillfully laid out and detailed, allowing Calgary citizens to go about their daily activities within the context of social memory."